Coming from Lahaina: take HWY 30 South to Maalaea and make a right onto N Kihei Road. 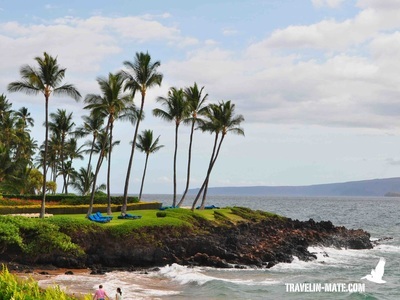 Follow N Kihei Road along the coastline passing several hotel resorts and beaches up to Wailea. At the end of Wailea the road merges into Wailea Alanui Drive. Continue on the Drive along the coastline until you passed the Fairmont hotel. 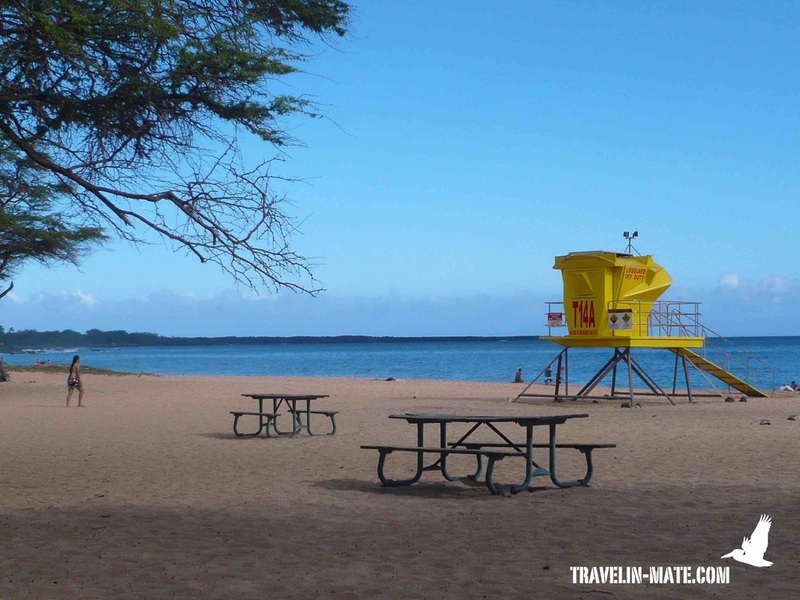 To your right follows Po’olenalena Beach and further South Big Beach. From Hana: you face a full day trip. First of all take 360 (Road to Hana) to Kahului. In Kahului make a right onto 380 (Dairy Road) later take 311 to Wailea. At the corner of Kihei Road stay right and follow S Kihei Road along the coastline. 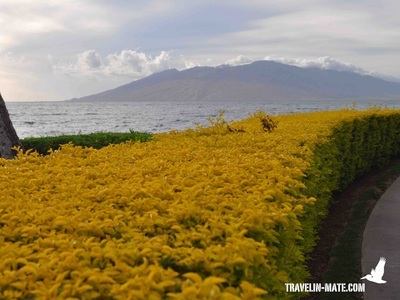 At the end of Wailea the road merges into Wailea Alanui Drive. Continue on the drive along the coastline until you passed the Fairmont hotel. To your right follows Po’olenalena Beach and further South Big Beach. 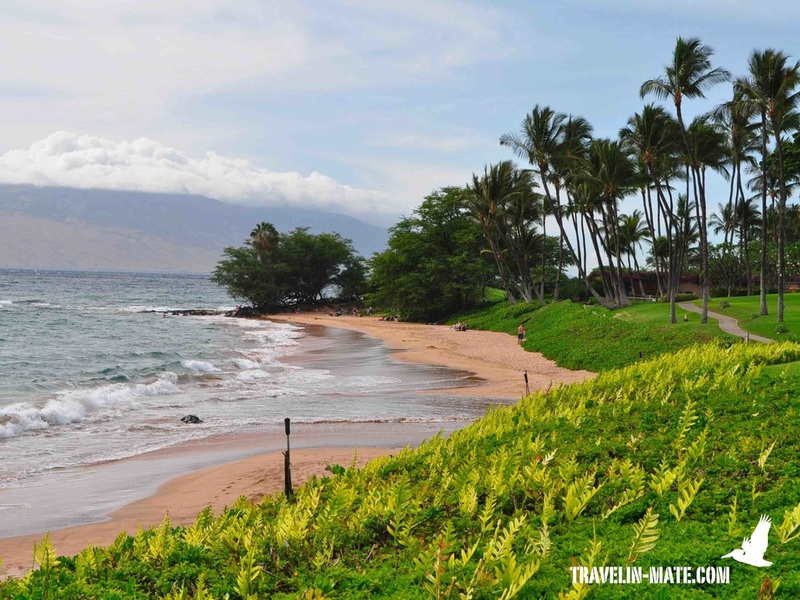 Please note: Recently there were several shark attacks close to the Makena beaches! The two neigborhoods in the Southwest are known for their luxurious and exclusive resorts. Down here all common high-end hotels are lined at the beaches and the backside is dominated by golf courses. 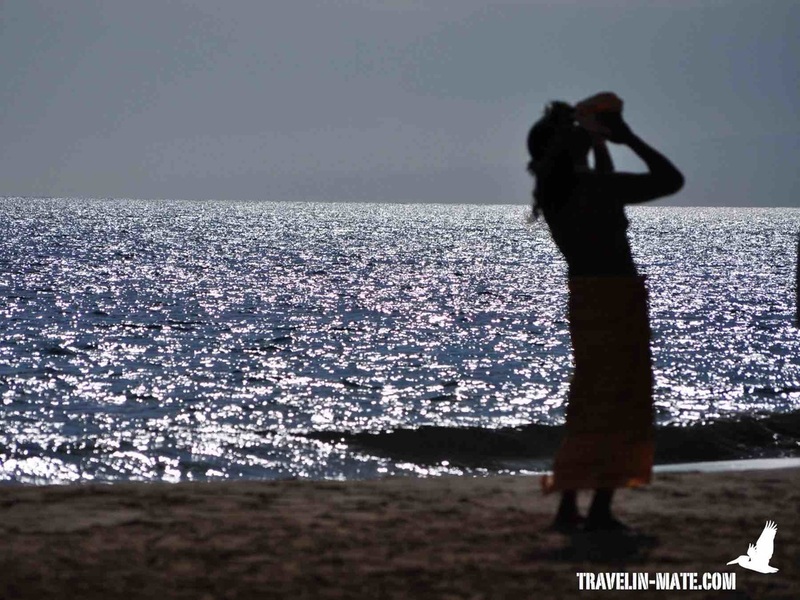 The area doesn’t offer much besides the long white sandy beaches. You are spoilt for choice which beaches to visit and I recommend a kind of beach hopping if you cannot decide for one. My favorites are Po’olenalena and Big Beach. The lava rocks at Po’olenalena are highly frequented by sea turtles and it’s worth it to bring your snorkel equipment. The downside of both beaches is that there is only little shade and no palm trees. This means that you either have to bring sun chairs or you lie down underneath the ironwood trees in the back. The latter carry thorns and you have to be careful walking around. 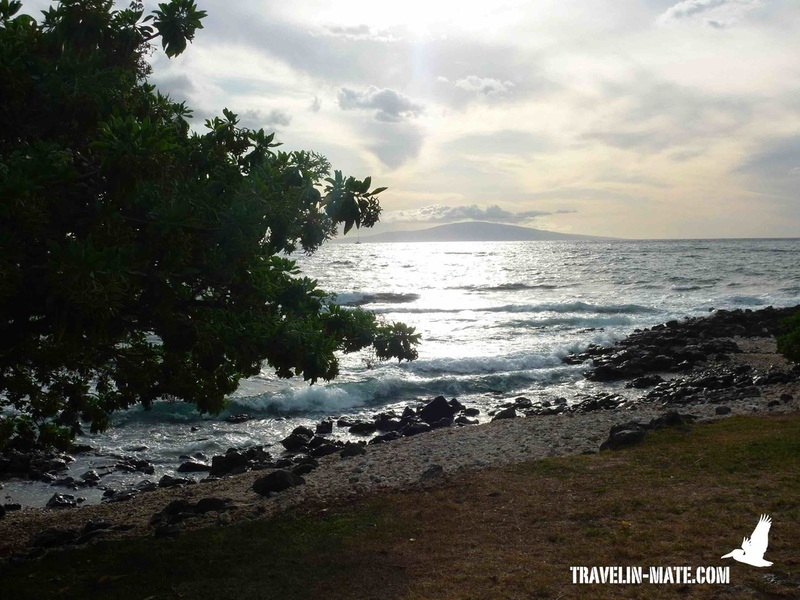 Both beaches offer a beautiful view towards Molokini, an old crater that is almost sunken in the ocean attracting a lot of fish. With the fish come the snorkelers and the boats that bring them over. Overall there is a lot of traffic at Molokini and I rather recommend Black Rock, Kapalua Beach or Po’olenalena Beach for snorkeling. Behind Molokini lies Kaho’olawe. The island doesn’t have any freshwater source like the other islands and is therefore very dry and uninhabited. The island wasn’t integrated until 1994 in the State of Hawai’i since the US military occupied it. The Navy used the smallest of all islands as practice venue for bombing tests during the 2nd world war and later as target practice. Persistent protests from the Hawaiian residents forced the US military to stop the trainings and to officially hand over the island to the State of Hawai’i. Since then Kaho’olawe is used by the Hawaiians for spiritual purposes. 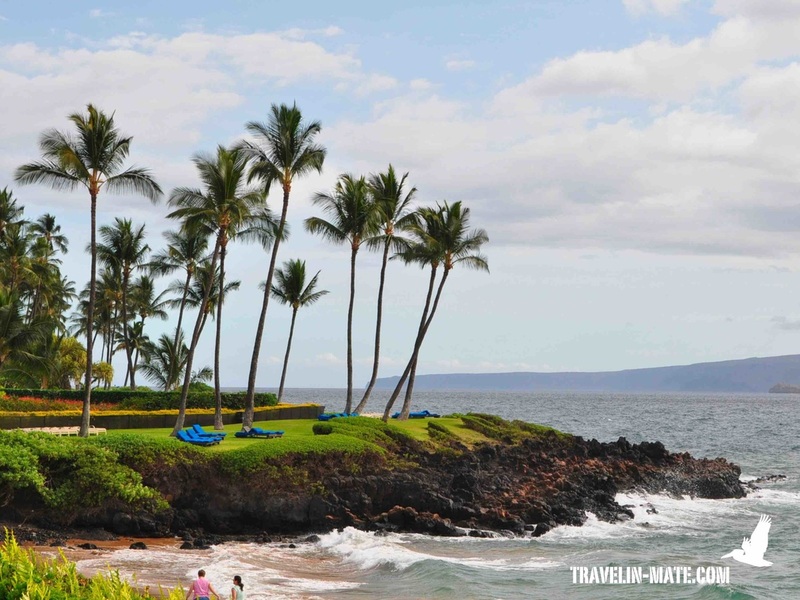 The beach is located behind Wailea Golf Club Drive and offers a ½ mile (1km) fine sand stretch. Lava rocks that usually attract sea turtles and fish frame both beach ends. 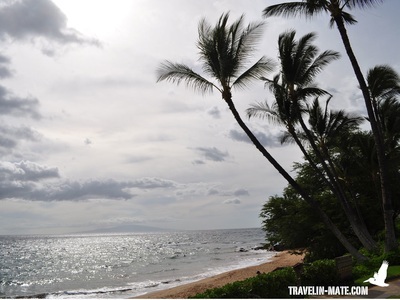 Big Beach is also known as Makena Beach and belongs to the most beautiful beaches on Maui. The beach is over ½ mile (1 km) long and 100 ft wide. In case Big Beach is packed walk over to the right side and escape to Little Beach. This section is smaller but less crowded since it’s separated by a lava field. It can happen that you run into nudists in this section. Both beaches are perfect to watch the sunset but a much better alternative is the Wailea Coastal Walk. The promenade offers an awesome view over Lanai, Kaho’olawe and Molokini and you get an impression of all the luxurios accommodations that are lining Wailea’s small but beautiful beaches. 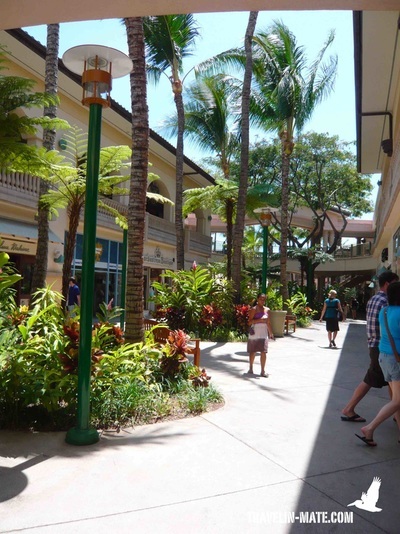 To utilize the full length of the 3 miles (5km) long coastal walk I recommend to park in the lot at Hale Alii Place at Wailea’s Northern skirts. The small road goes off in front of the former Renaissance Hotel. 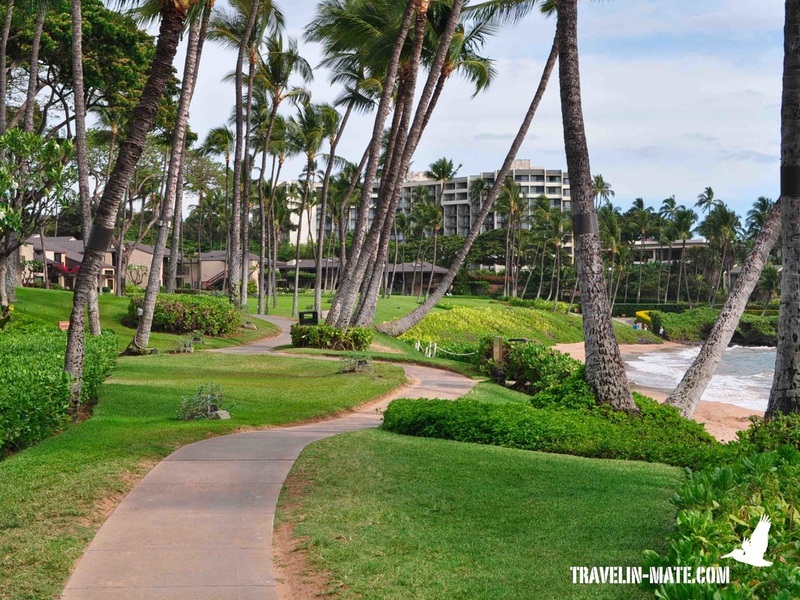 The palm tree framed promenade starts at the parking lot and leads you along five beaches and eight hotel resorts. Around sunset most of the resorts are hosting events like weddings or luaus and you have a lot to watch walking the promenade. In case you are starving there are some nice restaurants around with beautiful views over the shore. Since they belong to the resorts be prepared for high prices.